This beautiful, lead-free pewter tankard with a square handle will hold a half-pint. 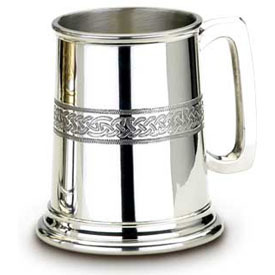 The tankard is accented by an engraved Celtic knotwork design. 8 ounce capacity.